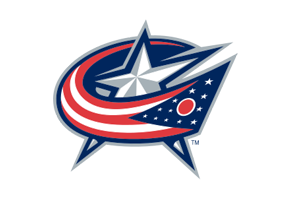 The Columbus Blue Jackets and Papa John’s Pizza announced today a new multiyear partnership that makes the world’s third largest pizza company the official pizza of the Columbus Blue Jackets. Papa John’s will be the exclusive pizza sold at Nationwide Arena starting tonight at Blue Jackets FanFest presented by Boehringer Ingelheim Roxane Laboratories from 5-9PM. During tonight’s event, fans may visit the Papa John’s concession stand that anchors the food offerings on the Bud Light Terrace located on the arena’s main concourse. The fully integrated partnership is highlighted by a host of in-market and in-game promotions as well as traditional in-arena messaging elements. Every Monday during hockey season, Papa John’s customers and Blue Jackets fans have a chance to score free toppings thanks to the weekly Blue Jackets Special – a large cheese pizza for just $9.99, complete with a free topping for every goal that the team scores in its last game. The number of free toppings doubles with a Jackets win. In addition, the Blue Jackets and Papa John’s are also teaming up to offer a monthly contest in which businesses may register online for a chance to win a pizza party at the office and Blue Jackets game tickets. The partnership further reaches the youth hockey and skating community with messaging at the Chiller Ice Rinks and presenting sponsorship of Chiller birthday parties held at the suburban rinks. Also, when the Blue Jackets celebrate their 11th National Hockey League Opening Night on Friday, Oct. 7 against the Nashville Predators, all fans in attendance will receive a 2011-12 Blue Jackets magnet schedule courtesy of Papa John’s.